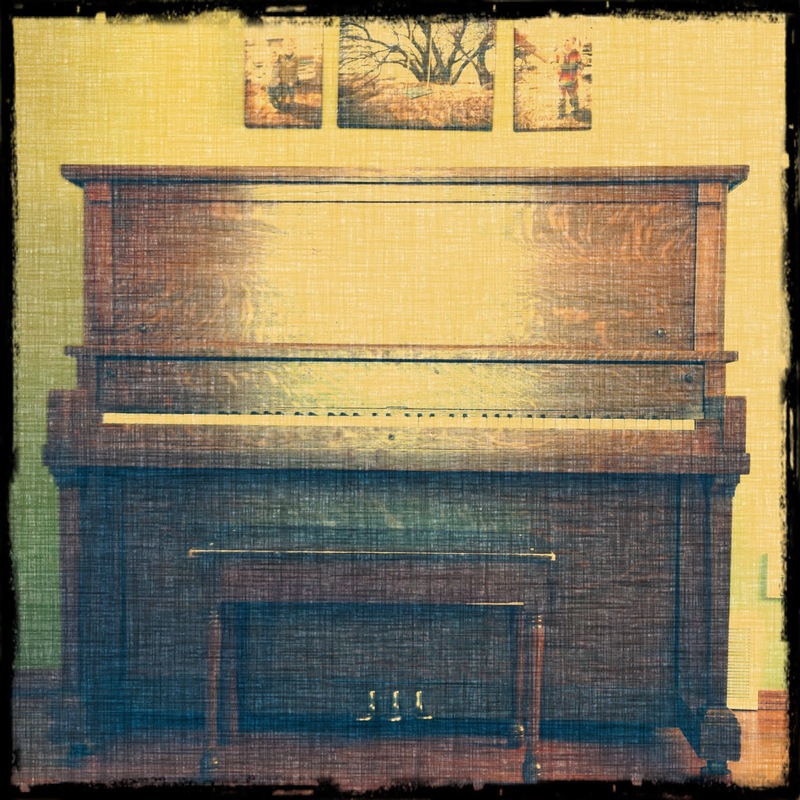 We were lucky enough, a number of years ago, to be given a piano by a dear family friend as she downsized into an assisted living situation. Ms. Stevens was a beautiful woman who had given her life to other people and was now, in her 80's, a happy, bubbly, energetic woman. The apartment she was living in was being torn down, and so she had to move. I had played Christmas carols on her piano the Christmas before, so she knew that it would go to a good home. We lost her a few years ago and miss her beautiful soul. We love the 100 year old piano even if we've had to move it four times and it kind of gets in the way of furniture placement. And it just cost us $200 to get it tuned. But sitting back down at my piano the other day and playing Twinkle, Twinkle Little Star to my daughter was… well… priceless. Trying to play scales that I could once whip through easily and without mistake? A little harder on the ears, but still good for my soul. Finleigh loves to sit down and play it. She gets a music book, opens it to a song, and then proceeds to sing the song as she plunks away. I love the joyful noise. Sometimes she even hits the right note. One day, perhaps, I'll teach her how to read music. Our piano, unfortunately, has not been cared for the best by us. We had let it get sorrowfully out of tune and Finleigh had pulled the ivory off of 8 keys, leaving bare wood in its place. So, we finally decided to have the piano tuned and the ivory put back on the keys. We don't have a piano tuner that lives in town, but Murray, the Piano Tuner, comes up a couple times a year. And this is where the story really begins. Finleigh was fascinated by him. She came home from respite when he was mid job and she wouldn't leave him. She'd pop out to get a toy to show him every once in a while, but other than that? She wouldn't leave. She was taken with him. And he was taken with her. And he was so good with her. Patient with her little outbursts, letting her come to him in her own time. She reminded him a bit of his own grand daughter, he said. After tuning the piano, he put the missing ivory back on the keys. He had to leave them set overnight, and so he left with the promise of coming back in the next day or so. He left around 9pm, Finleigh was still awake because she would not leave him. At 2 am, in a half sleep state, she asked Brian, "When the Piano Tuner come back?" And she repeated that question over and over again, for the next two days. Until he came back. Then she cried and cried and wouldn't go anywhere near him. She was overwhelmed. It was sad. Especially when he tried to teach her how to play Twinkle, Twinkle Little Star, one of her very favourite songs. So, when he popped by the other day on his way out of town, just to see Finleigh? My heart overflowed. She hugged him and hugged him. She was so happy to see him. Thanks, Murray, the Piano Tuner. We look forward to seeing you again soon. A piano really warms up a home. my kids never really loved playing like I did but I just liked knowing that whenever I wanted I could bang out a few tunes. Have fun with it.